Dr. Li presented research data showing that consuming olive oil, fish, red wine, cacao, and the Mediterranean diet can increase the number of circulating adult stem cells in the body, which can aid in healing organs, slow the ravages of aging, and regenerate tissues. Other foods, according to Li, can combat cancer by starving tumors of their blood supply, including oregano, tomatoes, and broccoli. “We have even found dietary factors in common foods that can turn off cancer-causing oncogenes, and turn on tumor suppressor genes,” said Li. Many foods cited during his presentation have been shown in public health studies to be associated with a dramatic reduction in risk of cancer, heart attack, and stroke. Citing the urgency to reduce human suffering from disease, Dr. Li called on the audience to 1) pool intellectual and financial resources in the pursuit of research focusing on ways to maintain health with the same commitment as the effort to cure disease, especially cancer; 2) mobilize communities to become aware of scientific evidence on foods that can reduce disease risk and employ this in their daily lives; and 3) help shape a policy landscape across nations to broaden healthcare from ‘Pharma to Farm’, thereby extending the tools by which society addresses non-communicable diseases. 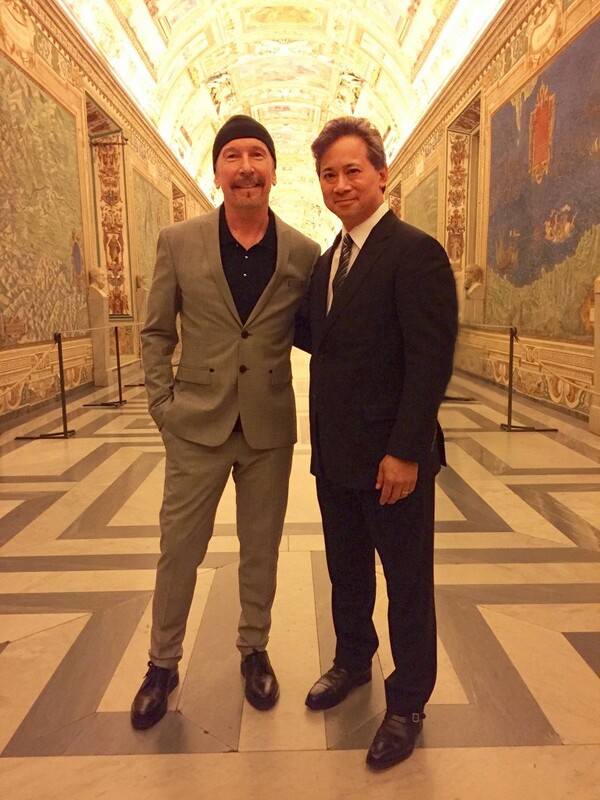 “I hope to have your blessing and support to accelerate the work that embraces the natural virtues of food, with the promise of bringing about a new scientific renaissance for global health,” said Li to the Vatican audience.